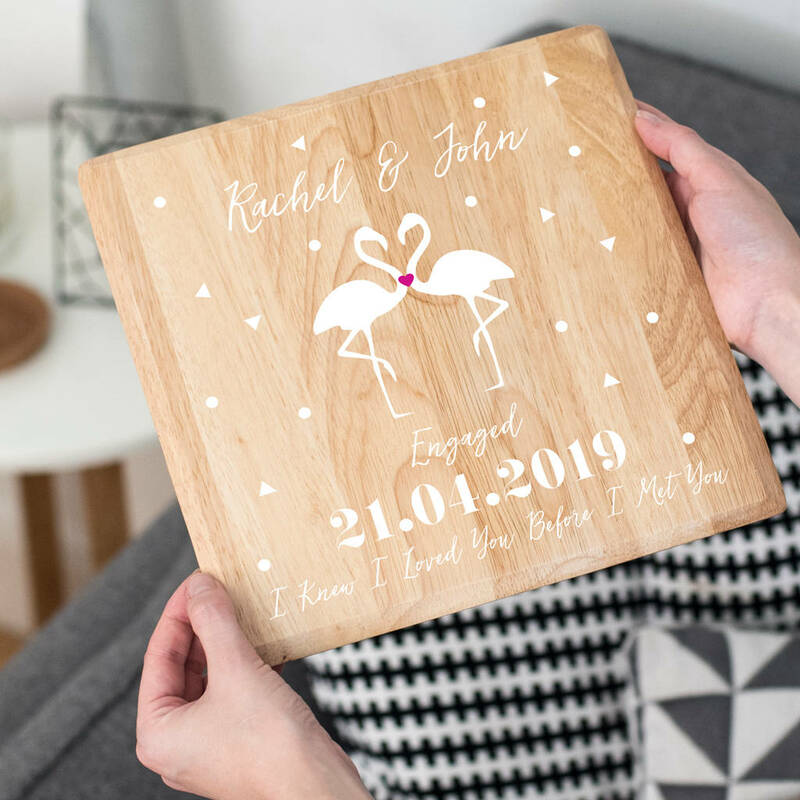 An extra special personalised engagement flamingo print, the perfect engagement gift or anniversary present for a couple just engaged. Personalised print on wood. 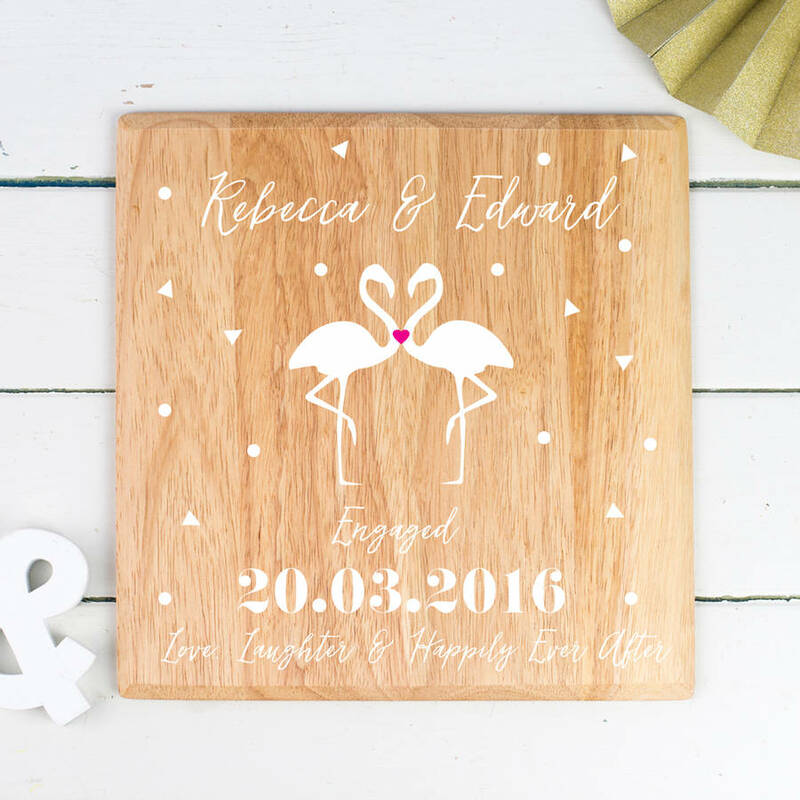 The personalised engagement flamingo print is an ideal engagement present. It can be displayed as a piece of art, propped up on a bookshelf in the couple's home. The soft honey coloured wood is totally smooth showing the grain and knots of the wood. This natural material creates a beautiful backdrop for our clean, white, flamingo design to be printed on top. 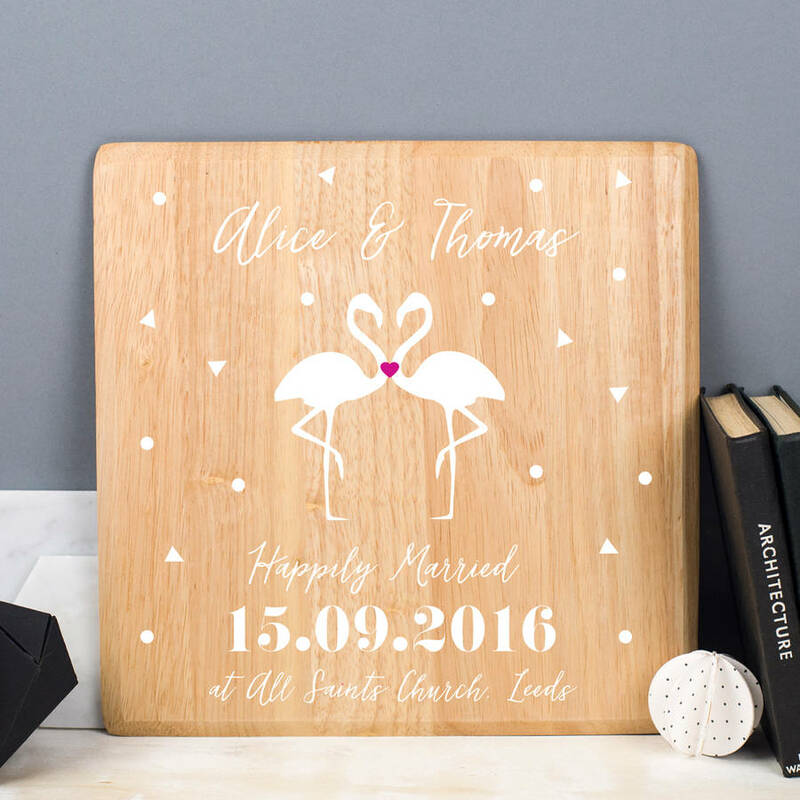 The flamingo design adds an element of fun and playfulness to the personalised print on wood. 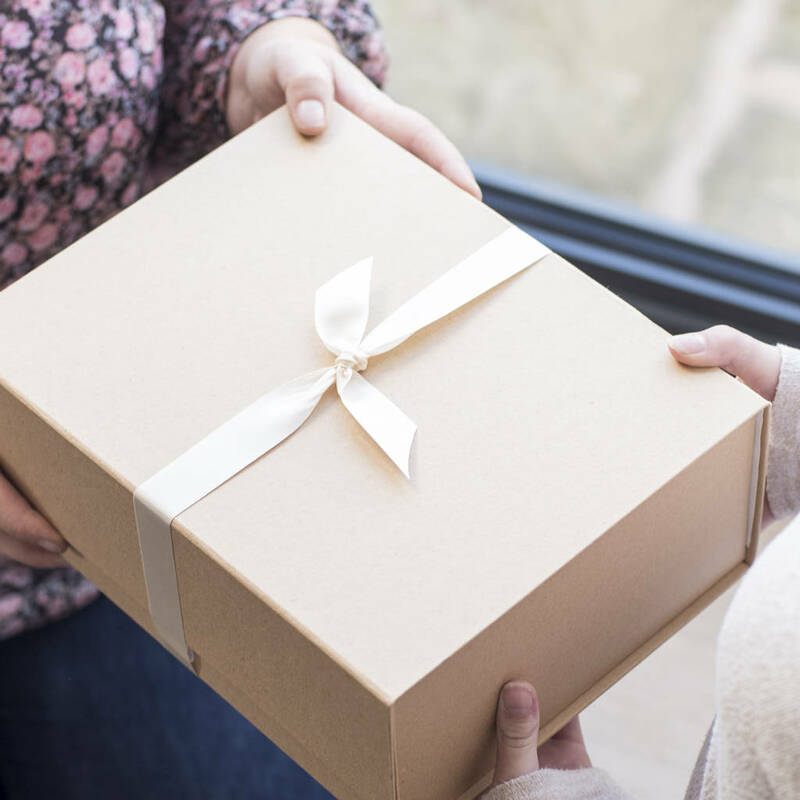 Buy it as a gift for a couple just engaged or married as a lasting memory of a special time to keep forever. 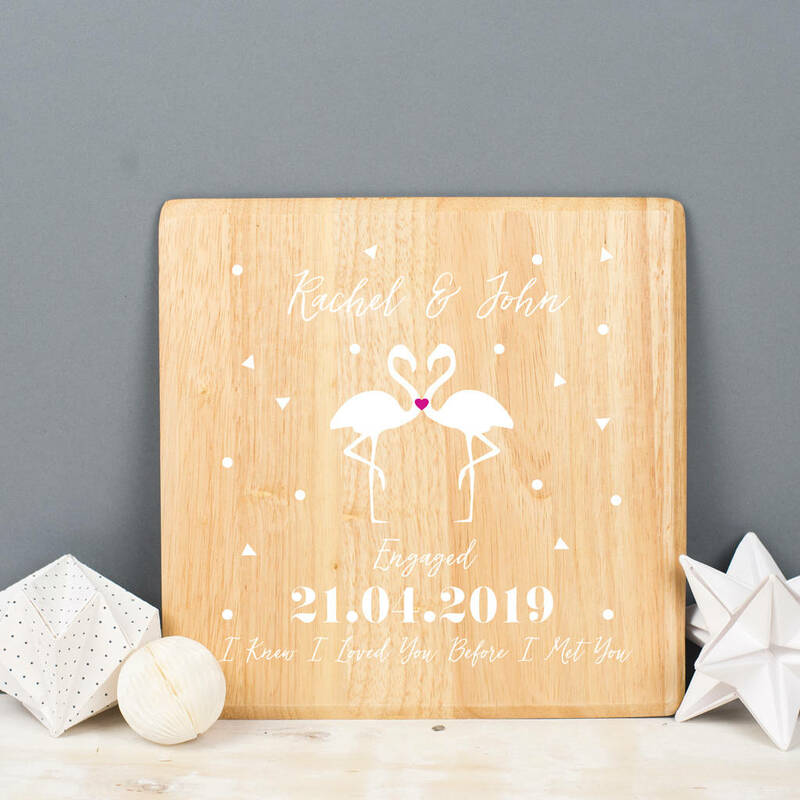 Personalised the wooden board with the names of the couple and the date of the engagement, wedding or anniversary. Then add a sign off below the date. This could be the location of the engagement or marriage or a phrase such as 'love, laughter & happily ever after'. 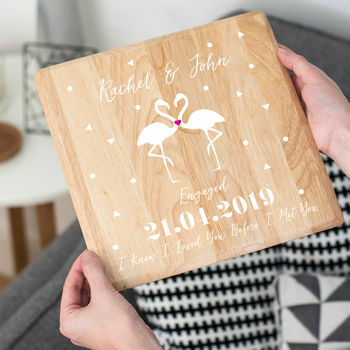 A lovely present for a couple to remember the special date that they got engaged or married. Made from wood and printed in our Derbyshire studio.